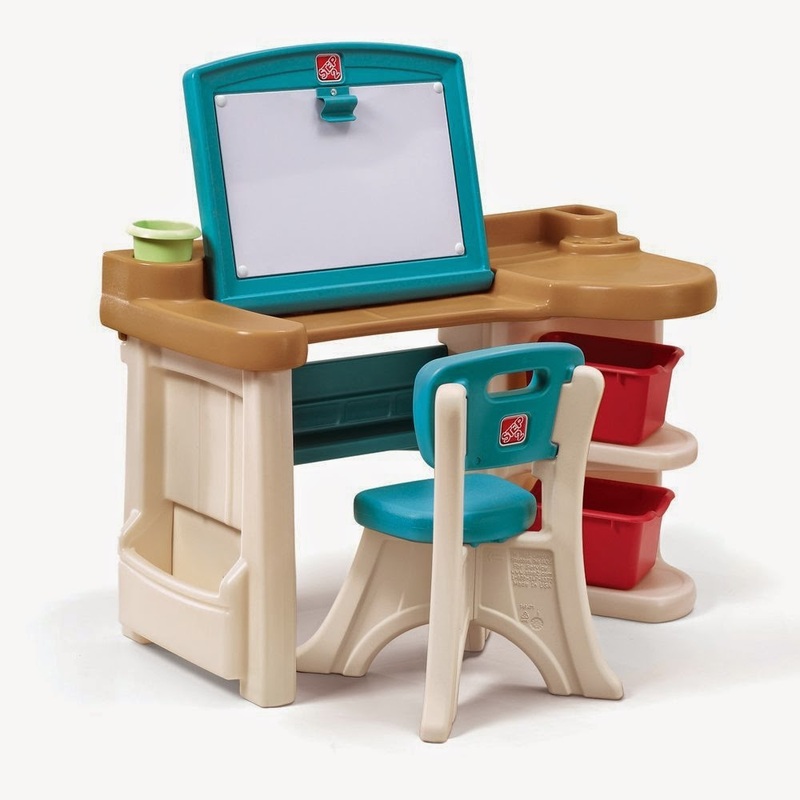 The Creative Space Art Studio is a two-in-one art studio that meets all of your little ones creative and storage needs. This desk features an adjustable work surface board that can fold down for a desk or lift up for an easel. The studio is taller than other art desks to accommodate growing children, allowing for many years of use. The roomy 13" x 20" work surface is enough room for any art project. Other features include a large side pocket for note books, 2 large bins perfect for storing art supplies and a removable supply cup for brushes, pencils and more.